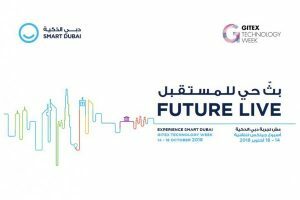 “GITEX Technology Week has firmly cemented its status as a leading technology platform, shedding light on ground-breaking developments, and bringing together international smart-city experts and influential decision makers with members of the community,” Dr Aisha added. The exhibitors this year include Awqaf & Minors Affairs Foundation (AMAF), which is showcasing its new and improved website and mobile app, while the Community Development Authority (CDA) is exhibiting its Dubai Volunteer Platform, and the Department of Economic Development (DED) is showcasing two services: the DED Blockchain Business Ledger and the Business in Dubai Application, which allows business users in the emirate to conduct all license-related transactions with DED from their smartphones. Dubai Electricity and Water Authority (DEWA) is displaying its Billing and Consumption Services, while the Dubai Financial Market (DFM) is exhibiting the DFM Smart Service App, the Blockchain-powered eVoting service, EIDA, a Chatbot service, and the Digital Signature service. Meanwhile, the Dubai Government Department of Civil Defence is showcasing the Company Safety Certificate service and the AI-enabled Auto CallDesk. The Dubai Government Human Resources Department is introducing a new HR Law, while the Dubai Health Authority (DHA) is showcasing the DXH Smart App (the gateway to access expert healthcare professionals, premium hospitals and clinics in Dubai), Hasana (an innovative programme to manage and contain the spread of communicable diseases), and Smart Mazad. Other exhibiting entities include, the Dubai Judicial Institute is showcasing the DJI Mobile app and Emirates Law Magazine, while the Dubai Land Department is showcasing the Smart Wallet, Trakheesi System, Mollak System, and the Dubai Brokers Application. Dubai Media Incorporated is displaying the Mohamed bin Rashid Holy Quran Printing Centre Online Portal, whereas the Dubai Municipality is exhibiting its Earth+ service, as well as Maskani, Makani, Dubai Hydrographic Survey, and the Smart Inspection Service. The Dubai Statistics Centre is showcasing a Permits Service, the drone-powered Aerial Statistician, the DSC Smart Application, and the GeoStat service, which integrates Geographical Information Systems (GIS) and statistical information. . The Dubai Silicon Oasis Authority is showcasing a range of smart services covering Smart Economy, such as the Smart City Accelerator (accelerating 40 ventures in 3 years at the cost of AED18 million) and Intelak (a crowdsourcing platform to enhance travel experiences), as well as Smart Environment (Smart Irrigation System, Smart Waste Management System, and a Solar-Powered Smart Masjid), Smart Living, Smart Mobility (EV Charging Stations, Electric and Self-Driving Cars), and Smart People. The Department of Tourism and Commerce Marketing (DTCM) is presenting its Inspection Management System and the Dubai Sustainability Tourism service, while Dubai Airports joins the exhibition with its Community App, the Real Time DXB service (an integrated solution that improves the visibility and predictability of events and supports efficient decision making) and SPLUNK (which provides a centralised view of airport information, increasing the efficiency of available information and optimising the utilisation of resources). The Dubai Chamber of Commerce and Industry is showcasing the Dubai Chamber App and ATA (an international customs document that permits duty-free and tax-free temporary importation of goods for up to one year). Meanwhile, the Dubai Culture & Art Authority is presenting its own Dubai Culture Application, the Creatopia Website, the Dubai Public Libraries app, and the website and application for the Etihad Museum. Leading ICT company Dutech is presenting Maktebi (a “single window” smart solution that brings organisations, employees and business partners together), NAU (previously “Dhowber”, a smart booking marine cargo marketplace targeting the dhow trade that occurs at the Dubai Creek), and DRaaS (Disaster Recovery-as-a-Service for IT systems). The Government of Dubai’s Legal Affairs Department (LAD) is introducing participants to its Voluntary Legal Services Smart Portal, which makes it easier and more organised for registered advocacy and legal consultancy firms to provide pro-bono legal services to the public, in addition to the New LAD website design with easier access to services. Meanwhile, the Dubai Maritime City Authority is showcasing Smart DMCA, an application providing mobile access to services like Marine Craft License and Marine Craft Driving License, as well as DMVC, an informative, interactive and unifying platform for the maritime sector in Dubai. The Mohammed Bin Rashid School of Government (MBRSG) is exhibiting its new AI-driven website, while Dubai Customs is showcasing its Digital Authorized Economic Operator (AEO) Platform, and its Risk Engine, which is a profile management and risk assessment engine for various transaction types. The Dubai Department of Finance is presenting the Smart Financial Planning Project and the DOF Processes and Services Automation Project. The Smart Dubai Pavilion at GITEX Technology Week 2018 also hosts the Dubai Sports Council, presenting its Dubai Cycling Mobile Application, and spend management solutions provider Tejari FZ LLC, which is exhibiting its Tejari App for facilitating eSupply. Meanwhile, Ports, Customs and Free Zone Corporation Trakhees is showcasing the Trakhees Opportunity Phase II – an initiative to provide a responsive statistical dashboard for customers to make effective and sensible business decisions – as well as an AI-powered Chat Bot, an Accreditation Business Wallet Card (an E-card to replace the hard card), and Trakhees Smart Inspection, which allows inspectors to do their job using a tablet device, providing notifications to revisit a facility if needed and reducing paperwork and chances of human error. The exhibitors also include start-ups AID Tech, Watopedia, Pulses, Fliptin Technologies, Doscswallet, and Ensosoft. Smart Dubai’s pavilion at GITEX Technology Week 2018 is sponsored by DarkMatter (Diamond sponsor); Emirates Auction (Platinum); IBM, Dell EMC, and du (Gold); and Network International, Huawei, and the Rochester Institute of Technology (RIT) – Dubai (Silver).